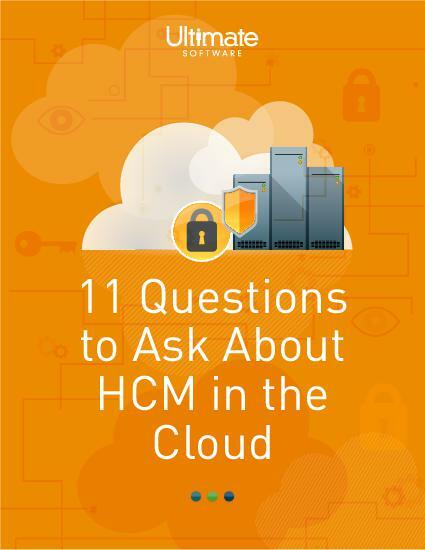 The questions you should be asking your cloud HCM provider. Switching human capital management (HCM) vendors can seem daunting and overwhelming. There are many things to consider when debating the move that affect both HR and payroll. Where to begin your research and what to ask about HCM software can be tricky. Cloud-based HCM solutions allow you to gain more accurate data, and the companies who have made the switch are seeing a huge return on their investment. This guide will provide not only the questions you should be asking human capital management providers but the features you should be looking for. Please fill out the brief form to determine if cloud HCM is for you.